I SO hate when I get a song or a group in my head that I can’t put a name to. UGH! It all started today when my friend on Facebook put in her status some lyrics to a Keith Sweat song…and of course I had to sing it in his nasally tone because his whining used to annoy the hell out of me. THAT led to my saying that I also couldn’t stand Al B Sure. Now, let’s get a little background. Al and I both hail from “Money Earnin’ Mt.Vernon” in NY. I remember how everyone was so proud of him and I do remember liking “Night and Day” and dancing to “Off On Your Own” but he too, had a nasally tone that sent me into ear-plugging mode. I also happen to know his oldest son personally as well as his mom. So, I know more than most fans do about Mr. Sure. Then…BAM!! I saw them. The back up singers…and remembered they tried to “Get off on their own” and make an album. 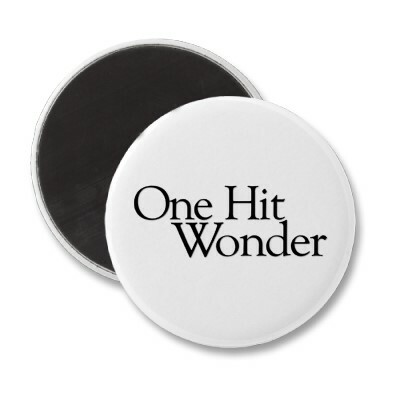 A one hit wonder of course…or else this wouldn’t be so damn hard. I remember liking the song, too…but I can’t remember the name of IT or THEM. When I googled them…I got NADA basically, except a link for a question asked on answers.com. Someone wanted to know the same thing I did…and the answer led me nowhere. DAMNIT!!! Does this happen to you? Do you have MILES of songs that you can’t remember the name of or the group they came from? WHAT in the No talent HELL is that about? SUPER UPDATE IN THE MAKING!! I FOUND the video by Tene Williams!!! Here it is. Do you remember?